Feb. 27 on Palladia, and will be shown April 15 on LFDH.com, featuring Daryl solo rarity "I'm in a Philly Mood" and Mutlu guest-starring on "Caramel"
From left, Amos Lee, Daryl Hall and Mutlu. 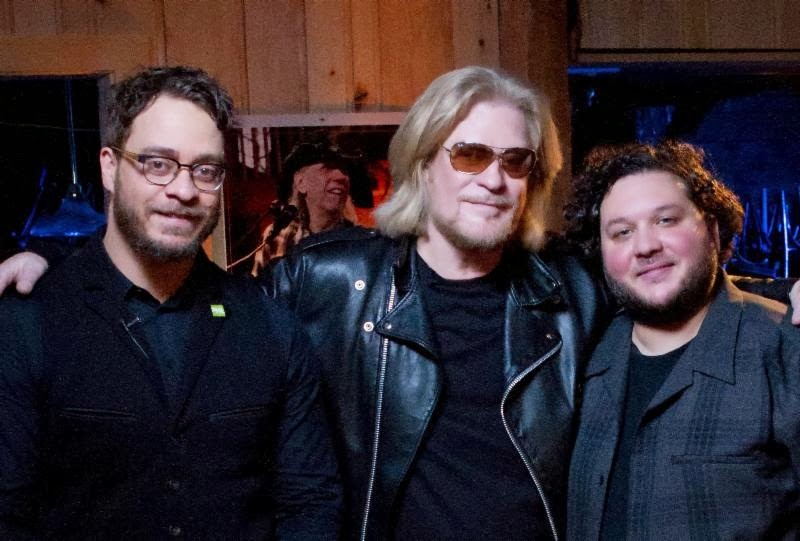 Live from Daryl's House celebrates it's Philadelphia roots in its new Pawling, N.Y., location as fellow City of Brotherly Love native Amos Lee joins Daryl Hall for the show's 66th and latest installment. The episode premiered on Viacom's high-definition music channel Palladia on Thursday, February 27 and will be available on the VH1 App on March 7 before being made available April 15 on Daryl's dedicated LFDH.com website, the first to be filmed at Daryl's still-under-construction new "clubhouse," a combination concert venue and restaurant he is currently restoring as a future home for the show. One-time schoolteacher Lee and Daryl team up for a seven-song performance that includes an eclectic set list that includes a rare Daryl Hall solo song, the aptly named R&B harmonies of "I'm in a Philly Mood," from his 1993 Soul Alone album, as well as a pair of Hall and Oates classics, including "When the Morning Comes," the first track on their 1973 Abandoned Luncheonette album, "The Method of Modern Love," a Top 5 hit on 1984's smash Big Bam Boom album. Amos and the band also run through two songs from his self-titled 2004 Blue Note debut, "Keep It Loose, Keep It Tight," a song about rising rents and gentrification in his old Philly neighborhood, and "Seen It All Before," reminiscent of a cross between The Band at its most soulful and "Knockin' On Heaven's Door." There are also takes on "Windows are Rolled Down," from his chart-topping 2011 Mission Bell album and a version of "Caramel," by his longtime bandmate and opening act Mutlu, who sits in on vocals for a song that the two played on the Norah Jones tour. In the regular cooking segment, Daryl's old pal and namesake from nearby Vinny's Deli demonstrates the many uses of Daryl's House Marinara Sauce by using it to cook a seafood fra diavolo, with shrimp, scungilli, clams and pasta, as well as a pizza. Lee raved about the experience: "We had a great time doing Live from Daryl's House. Everyone was really cool and we had a lot of fun. I just saw them over the past year at Ryman Auditorium in Nashville and at the Tower in Philadelphia. I'm more of a fan now than I was before. I really respect Daryl as a writer." Added Daryl: "We had a good time. We got Philadelphia-ized, and pretty funky. Some funk was definitely had." Amos has toured with legendary artists like Bob Dylan and Paul Simon, collaborated with Norah Jones, Lucinda Williams and Zac Brown Band, and been touted as a favorite songwriter and performer by The Band Perry and Lady Antebellum. He followed his 2004 debut with the critically acclaimed Supply and Demand (2006) and Last Days at the Lodge (2008). 2011's Mission Bell entered the Billboard 200, Amazon, and iTunes charts at # 1 and contained the chart-topping Triple A radio hit "Windows are Rolled Down." His latest album, Mountains of Sorrow, Rivers of Song (2013), topped the Americana radio chart for two consecutive months, featuring guest appearances by Alison Krauss and Patti Griffin. The New York Times hailed it as "serenely sure-footed" while Elmore noted it "may be Lee's finest yet." Lee will appear on an upcoming Jimmy Kimmel Live!, guest on Tavis in March and be featured on an episode of PBS' Music City Roots, a new variety show hosted by Jim Lauderdale in Nashville. This summer, he is scheduled to perform at Bonnaroo Music and Arts Festival (June 12-15) and Firefly Music Festival in Dover, DE (June 17-19).He will be accompanied by the Colorado Symphony Orchestra when he plays his first headline show at Red Rocks Amphitheatre in Morrison, CO, on August 1. Amos is donating $1 from each ticket sold for the tour to Musicians on Call (www.musiciansoncall.org/amos), a non-profit organization that brings live and recorded music to the bedsides of patients in healthcare facilities. The past seven years have marked a steady stream of superlatives and recognition for Live from Daryl's House, with Hall receiving a Webby Award for Best Variety series from more than 10,000 entries at the 14th annual ceremony at N.Y.'s Cipriani Wall Street before garnering an O Music Award from MTV. Live from Daryl's House executive producers are Hall and manager Jonathan Wolfson. The 65 previous episodes of Live From Daryl's House have featured a mix of well-known performers like Gavin DeGraw, ZZ Top's Billy Gibbons, Jason Mraz, The Voice's Cee Lo Green, Shelby Lynne, Joe Walsh, Booker T and the MGs, Blind Boys of Alabama, Rob Thomas, Train, Smokey Robinson, The Doors' Robby Krieger and Ray Manzarek, Toots Hibbert, Nick Lowe, K.T. Tunstall, Todd Rundgren, Keb Mo, Dave Stewart, Goo Goo Dolls' John Rzeznik and Fall Out Boy's Patrick Stump, along with newcomers such as Grizzly Bear, Rumer, Allen Stone, the Dirty Heads, Grace Potter & the Nocturnals, Mayer Hawthorne, Chromeo, Matt Nathanson, Parachute, Plain White T's, soul diva Sharon Jones, Diane Birch, L.A. neo-R&B party band Fitz & the Tantrums and Neon Trees. Palladia, Viacom Media Networks' high-definition music channel, launched in January 2006 and features original music-based programming for a variety of music genres, including hip hop, rock, country, pop, contemporary, classic rock, alternative rock, soul and more, as well as HDTV acquisitions and original content from Viacom Music Group's MTV, VH1, and CMT family of services. The channel has grown to 32 million households and is available on major U.S. carriers including Comcast, Cox, Verizon FiOS, Time Warner, Dish, DIRECTV, Charter, AT&T u-Verse, Cablevision and Insight. With the Academy Awards coming this weekend, why not lead off this post with several movie- and music-video minded music items? Have a great weekend everybody! "Rock 'n roll is here to stay" despite the best efforts of a giant gila monster in Polyscope's sci-fi comedy movie Gila! scheduled for release on DVD this April 22, 2014. 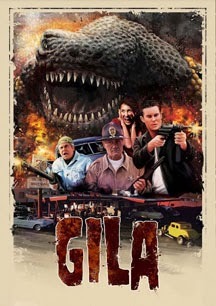 Based loosely on the 1959 sci-fi classic Giant Gila Monster, the revived Gila! features a ferocious, rampaging giant gila monster, classy hot rods, vintage 50's rock 'n roll music, cute co-eds, fist fights, drag racing and an all-star cast who rally to defend their small town. "A perfect 'date night' drive-in movie," says producer Bill Dever. "Family fun with music, action, a very scary monster and a terrific cast. Inspirational sci-fi horror." It's not all the monster's fault since his giant size and voracious appetite come from accidental toxic chemical contact, and beneath the action, Gila! carries a few contemporary political, social and environmental messages. Directed by Jim Wynoski, the movie follows a small-town Sheriff and a young hot-rod mechanic as they suddenly face the giant gila monster's surprise attacks - first on farm animals, hapless humans, a passing freight train and then a small Indiana town busily preparing for the big Christmas rock 'n roll dance. "It's funny, scary, camp and relevant," says Dever, "featuring some of the best music of the 1950's and some cool cars." The antique hot rods and classics were provided by a midwest car club. The Gila Monster is no longer the federally protected and endangered southwest desert critter thoughtlessly nudged through balsa wood walls in the original movie. Clever EFX and a dangerous man-made chemical spill morph the gila into a monster and cave crickets into chickens. Tracked down and annoyed by the Sheriff's nitro explosion that supposedly sealed the cave the monster breaks through by morning and wreaks havoc. Town drunk and civil libertarian Compton, played brilliantly by Rich Komenich, saves the day with a bottle of whisky in one hand and the Second Amendment in the other. His secret stash of machine guns and nitroglycerin - stockpiled to fight Russians or Martians or atomic monsters - has everyone home just in time for Christmas. Performances on Ellen and the Late Late Show March 5 to Perform New Single "This Is Gospel"
Panic! At The Disco have shared a new video for their song "Nicotine" this morning. The striking black and white clip premiered on Neon Gold Records this morning, home to Gospel Tour-mates Magic Man. Directed by Kai Regan (Cee-Lo Green, CocoRosie), the video features a starkly lit Brendon Urie and the object of his addiction set to "Nicotine"'s thumping dance track. Urie says, "We were excited to work with Kai again. He's super creative and we love his visual aesthetic. We managed to film almost the whole thing in one day at a cemetery in Queens. It was freezing cold and snowing out but totally worth it. The end result looks amazing." Rolling Stone has also posted the video, a "ruminative but memorable clip." Panic! will also perform live next week on The Ellen Degeneres Show and The Late Late Show with Craig Ferguson both on Wednesday, March 5 to perform their new single "This Is Gospel". Tickets are on sale today for the band's Gospel Tour. Indie dance-rockers Walk The Moon, will perform on all dates with Panic! ; Youngblood Hawke and Magic Man join on select shows. The group's fourth studio album, Too Weird to Live, Too Rare to Die!debuted at No. 2 on the Billboard 200 Chart in October. "This Is Gospel," the second single from the album has risen to over 10 million YouTube views, is currently impacting radio and follows "Miss Jackson" which hit Top 10 at Alternative Radio. I loved this duo when I caught them earlier this month opening for Los Lonely Boys at the Coach House in San Juan Capistrano, CA (Read my review of that show here). Great news they are making the trek to Austin in March. Huntington Beach, CA - February 27, 2013 - The American duo, David & Olivia, will be heading to Austin for South by Southwest 2014! 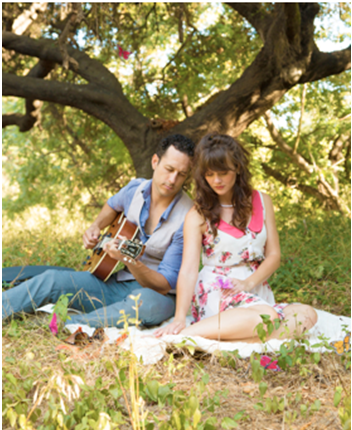 Upon meeting each other one summer night in 2011, the two felt an instant musical chemistry that would blossom before captivated audiences in vineyards along the California coast. In 2013, they showcased their unique blend of melancholy blues and country sweetness in their debut EP, On the Sea. The EP was heralded by press in both, the US and UK, and the duo toured relentlessly coast-to-coast from New York City listening rooms and Boston pubs to Napa Valley wineries and Los Angeles clubs, amassing over 160 performances in 2013 alone. In a review of a recent live show, LA's modern rock radio station, 106.7 KROQ, declared that David & Olivia were, "...effervescent...their energy was a mixture of vaudevillian and romantic; something right out of an old Western comedy." When discussing On the Sea with us, David warmly recounts that "the sound is fairly simplistic really, it comes down to our two contrasting voices that blend and intertwine with an acoustic guitar. We had the fortunate opportunity to dig deep and flush out the songs with the help of our friends from Donavon Frankenreiter's band. What came out were a collection of songs that gather in a place where the calmness of the vineyard meets the unrest of the Pacific ocean." This will be the second consecutive year that the duo will be in Austin for the South-by-Southwest festivities. Is it Friday yet? No, but in the meantime here is some great news for fans of Oasis! And I mean great news!! 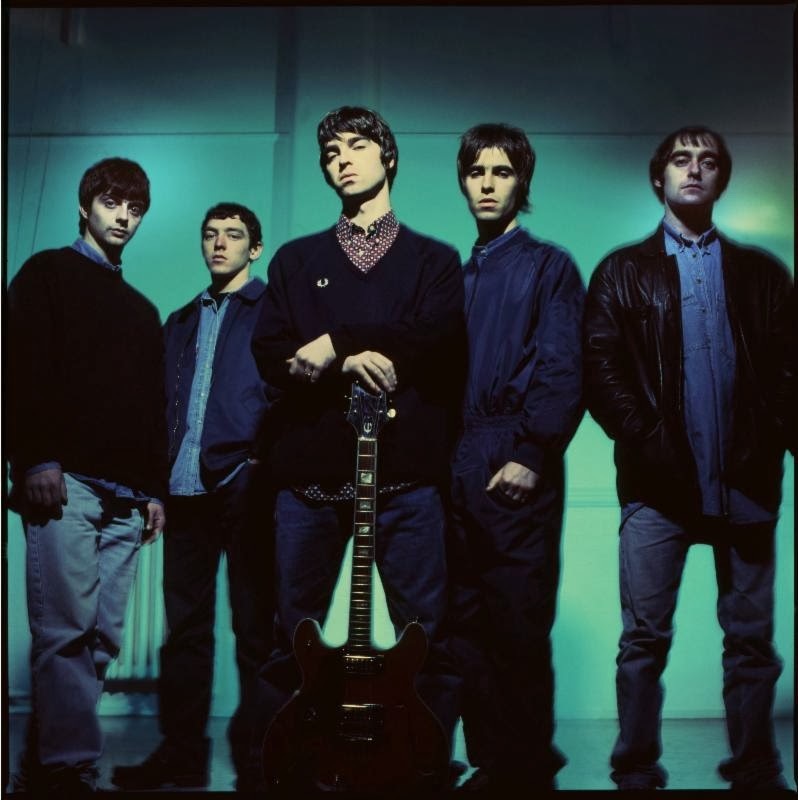 n their 14-year recording career Oasis sold more than 70 million albums worldwide, had 22 consecutive UK Top 10 singles, 7 No.1 studio albums, but, more than that, they helped define a generation. 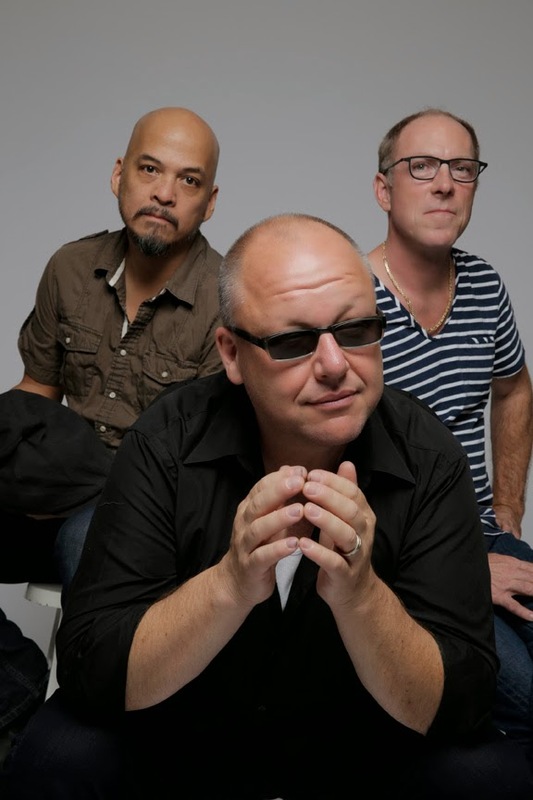 Now Big Brother Recordings are to reissue the band's classic albums in chronological order as part of the new Chasing The Sun series. Each album has been remastered and available with rare and exclusive bonus content. With 2014 marking the 20th anniversary of its original release, Definitely Maybe will be the first release in the series, out 20th May. (What's The Story?) Morning Glory and Be Here Now will follow later this year. Also available to order now from www.oasisinet.com on cassette for a limited period only is Original 1993 Demos, a replica of the legendary demo cassette handed out by the band before Oasis were signed. An incredibly rare rock artifact - only 8 copies were made in its original form -Definitely Maybe producer Mark Coyle has written new sleeve notes for this release. Additionally, especially for Record Store Day on Saturday April 19th, Big Brother will release a limited edition remastered replica of Oasis's debut 12 inch single Supersonic on heavyweight vinyl. INgrooves Music Group is handling the distribution in the U.S., with its artist services division INresidence overseeing marketing for the catalog. Every brand new edition includes a remastered version of the original album. 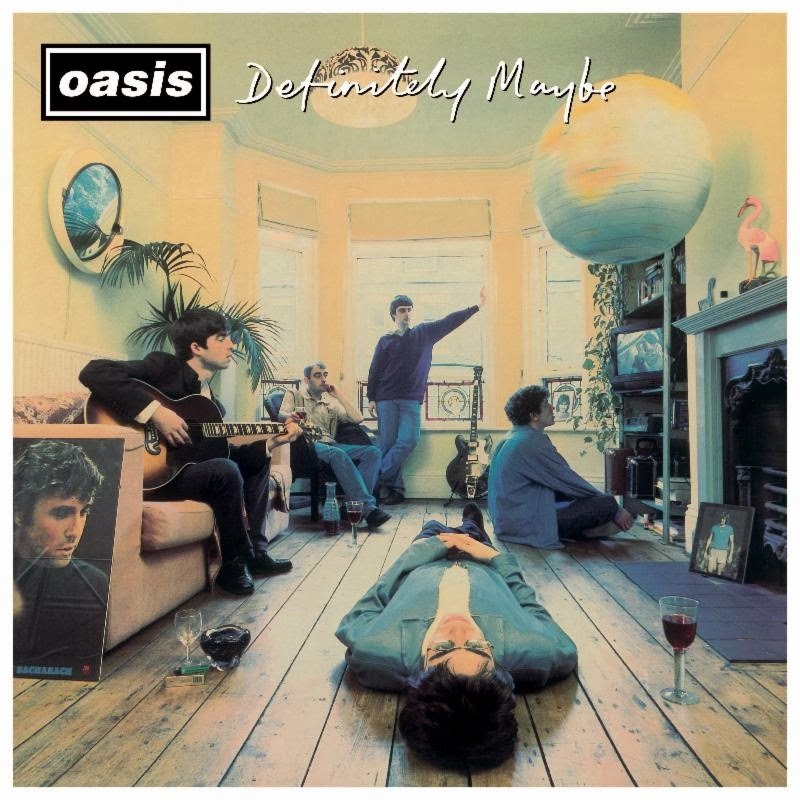 The deluxe CD and super deluxe box set include two CDs including all the B-sides plus rare and unreleased Oasis tracks from the Definitely Maybe era, plus their huge Christmas single from 1994, Whatever. All editions come with new sleevenotes by respected rock critic Neil McCormick. Friday Nights - Beginning March 7 at 10 p.m.
Burbank, Calif. – Feb. 24, 2014 – KCET, the nation’s largest independent public television station serving Southern and Central California, has announced the launch of Studio A, an original music series showcasing Southern California’s top musical talent. The series premieres on KCET on March 4 at 10 p.m. and repeats Fridays at 10 p.m. Public radio music station, KCSN-FM, which broadcasts from the campus of California State University, Northridge, will also simulcast the series Friday nights, beginning March 7 at 10 p.m. Studio A will reflect the diversity of the region through the cultural backgrounds and musical influences of some of Southern California’s most prolific artists. The show will feature taped live performances and interviews from Chicano Batman, Best Coast, Run River North, Noah and the Megafauna, Chelsea Wolfe, The Internet, Deap Vally, Aloe Blacc and more. In the vein of KCET's multi-award winning arts and culture series, Artbound, the format of the series will showcase an uninterrupted musical set, as well as the cultural stories from which these artists draw their inspiration, including historical and geographical influences. From throwback ’70s Latin ballads, neo-soul, freak-folk, Mexican Jarocho, and Cumbias, Southern California is a musical melting pot; Studio Aintends to capture the essence Los Angeles from a musical perspective. For information on the series, videos and other assets, please visit kcet.org/studioa. On-air, online and in the community, KCET plays a vital role in the cultural and educational enrichment of Southern and Central California. KCET offers a wide range of award-winning local programming as well as the finest public television programs from around the world. Throughout its 50-year history, KCET has won hundreds of major awards for its local and regional news and public affairs programming, its national drama and documentary productions, its quality educational family and children's programs, its outreach and community services and its website, kcet.org. KCET is a donor-supported community institution. For additional information about KCET productions, web-exclusive content, programming schedules and community events, please visit kcet.org. KCET is a service of KCETLink. A listener-supported public radio station, a service of California State University, Northridge, 88.5 KCSN offers a 24-hour, commercial-free blend of rock, alternative, indie, soul, blues and Americana. The station features artists such as Arcade Fire, St. Vincent, Bruce Springsteen, The Smiths, Haim, David Bowie and Kings of Leon. The station's programming is also available online at KCSN.org. Happy Monday. Great way to start the week with an announcement that Echo & The Bunnymen are set to return with a new album this spring! Read my review of Ian McCulloch and company's fantastic outing at Coachella back in 2010 here. 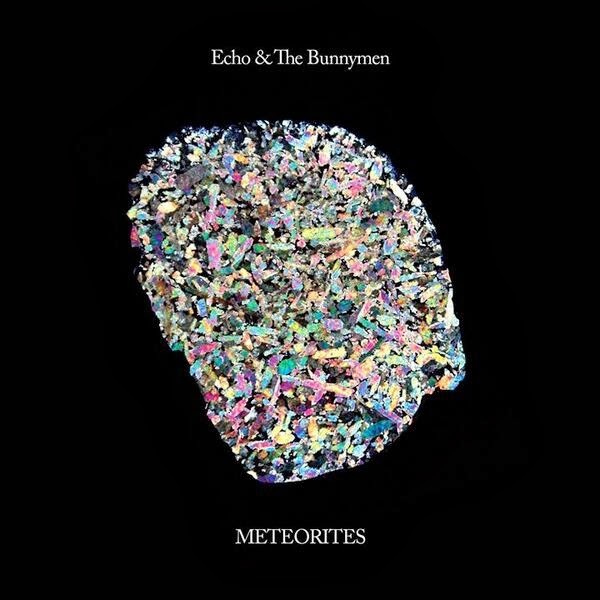 Legendary Liverpool band Echo & the Bunnymen are putting the finishing touches on their 12th studio album and first since 2009, Meteorites, which will be released April 28th in the UK on 429 Records and distributed by Caroline. 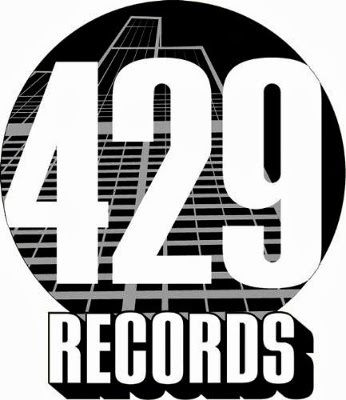 The album will also be released by 429 Records in the U.S. on June 3rd. Produced by Youth (Killing Joke, The Verve), the album contains ten hand-picked new songs written by founder Ian McCulloch and performed by Bunnymen stalwarts McCulloch and Will Sergeant along with Gordy Goudie (guitar) and Stephen Brannan (bass). In conjunction with the album's release, the band will embark on a tour of Europe and the UK beginning in May (see confirmed dates below). Formed in 1978, the Bunnymen have been a vital force in the indie rock world for over 36 years having won over millions of obsessive music fans worldwide and indelibly influenced countless bands with their signature sound—from the Flaming Lips to Coldplay to Pavement. Meteorites is a key addition to their repertoire. It's an intimate song cycle written by Ian McCulloch performed by the band with a renewed sense of purpose showcasing all of their unmistakable musical hallmarks while taking them to a new level. Says McCulloch: "'Meteorites', the new Bunnymen album... at long last we've made the worthy successor to 'Crocodiles,' 'Heaven Up Here,' 'Porcupine' and 'Ocean Rain.' 'Meteorites' is what Echo and the Bunnymen mean and are meant to be—up there in heaven--untouchable, celestial, beautiful and real. It has changed my life."